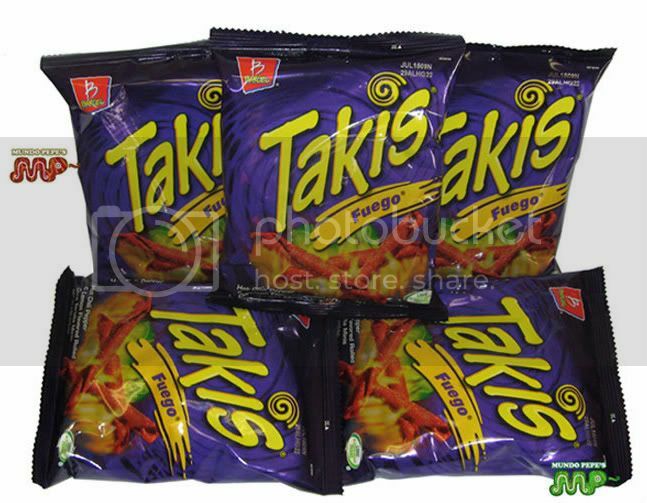 Before we proceed, these are Takis. There is a good chance this is your introduction to the snack. As a connoisseur of the crunchy and unhealthy, even my knowledge of them is minuscule, having only once in my life lived near a hole-in-the-wall grocer that stocked these popular Mexican snacks. If you’ve been a casual participant of the Internet over the past 72 hours, however, there is a decent chance that you’ve heard the word “Takis” said repeatedly. By children. Talented, snack-loving children. Who are they signed to? No one. Who are their famous rapper parents? No one. Is this some sort of spoof? Not at all. Does this completely straddle the line between adorable and impressive? Absolutely. Even more confused? Here’s some of what you need to know (Spoiler alert: It’s about to get much more adorable and impressive). 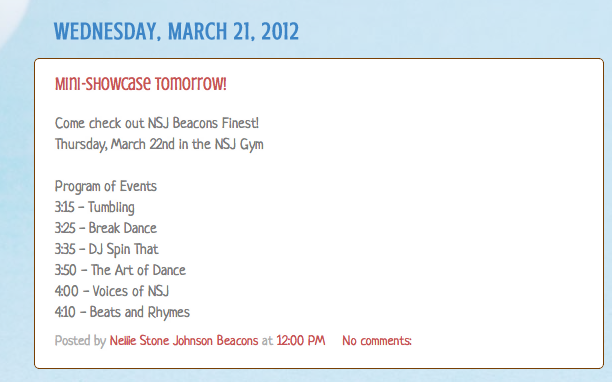 One of those, listed as the headliner of the 3:15 p.m. to 4:30 p.m. Mini-Showcase, is “Beats and Rhymes.” This refers to the North Community Beats and Rhymes Program, which happens to be the training ground for two youth posses, the NSJ Crew and The Y.N.RichKids (unclear if there is any overlap between the two, but one has to assume there’s little to no beef). And now we’re back to where we started. I told you the backstory was impressively adorable. As for this song (and video), it’s a banger. Every aspect of the visual/aural experience that is “HCAT” is on point. For one, the beat lacks the amateur feel that many an uploaded YouTube rap clip has. To steal a very accurate observation from Grantland director of business development David Cho (who is somewhere still listening to the song), “it has a Lex Lugar-y feel to it.” It’s like a Kidz Bop “H.A.M.,” if you will. Secondly, just look at them. Sometimes they’re in their street clothes that scream “I’m a tween who watches music videos in 2012,” and other times they’re all just wearing their basketball jerseys. Calling it precious is a huge understatement. #3 (Dame Jones), #5, #8, #10, #11, #23 (J), and #42. When you break down how it’s split up, however, you can see how effectively they share the rock, one of the reasons this track pushes past the five-minute mark and you’re not upset about it. Yes, by introducing the song, his crew, and the fact that snacks are about to be the main topic of conversation, it’s apparent Dame is the leader of the pack. That doesn’t make him the runaway standout, however, because every kid that follows him spits hot Cheeto fire. There’s #8, who kind of looks like Goo from My Brother and Me, and #42, who, with his thick glasses and raspy voice, seems to have a very old soul, who keep the song trucking along with their catchy hooks. As for #10 and #11, both deliver solid verses, with the former doing his best Mystikal impression by rapping from atop the basketball hoop. Speaking of Mystikal, NUMBER 5. One of the biggest takeaways from the many conversations about “Hot Cheetos and Takis” that I’ve had over the past 48 hours is that #5 is easily the most polarizing rapper in the crew. Some love him (“He’s going to be like Ying Yang Twins, but bigger”), some not so much (“he’s gimmicky”), and some just think he wants to get his voice heard (“he’s like the Simon Birch of the group”). His unorthodox flow of yelling and not really enunciating any of his words (see: Mystikal) definitely makes him stand out, and in my opinion, it’s all for the better. He’s perfect and there’s no way you can convince me otherwise. But, again, he’s not the best rapper. That title is reserved for the lone female in the group, J. She’s unbelievable. Not only does she have lyrics for days, but she’s rapping and dancing at the same damn time, which is impressive, especially to someone like myself who can barely do either. Having a singular lady in a male-dominated rap collective is not a new thing (YMCMB, Nicki; Junior MAFIA, Lil Kim; The Firm, Foxy Brown; DTP, Shawnna; Ruff Ryders, Eve). In these cases (and others), the woman is never the worst, but usually has a rapper or two standing in her way from being the best. Not J. She is to the Y.N.RichKids what Sha Rock was to Funky 4 + 1. That’s probably the highest compliment I have ever given someone born post-Y2K. Yes, getting a paycheck as an adult is a great feeling, but it pales in comparison to the feeling you had when mom put some money in your pocket, because YOU HAD EARNED IT BY RAKING THE LEAVES. Not only could you make 10 dollars stretch three weeks, you felt unstoppable. One can only assume that #11 got his Alexander Hamilton the day that this verse was written. OK, that’s enough. Thank you, North Community Beats and Rhymes Program, Nellie Stone Johnson Beacons Center, the city of Minneapolis, the parents who brought these children into this world, and YouTube for making this possible. I can’t wait until Michelle Obama convinces them to start rapping about fruits and vegetables.